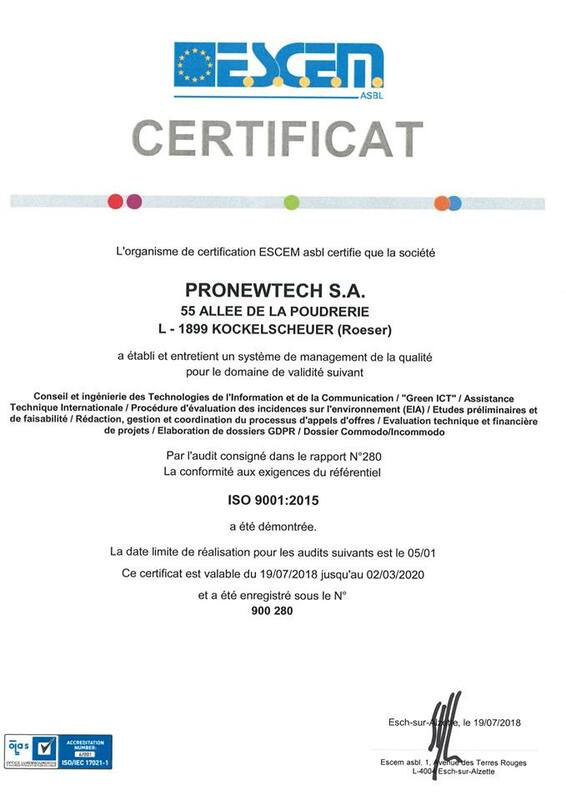 We are happy to inform you that our member ProNewTech S.A. got a certifcate of European Society for Certification of Management Systems. The certificate confirms that the enterprise established and applies a quality management system for the certain scopes like Consulting and Engineering in Information and Communication Technologies and others. It is for the third time in a row already when ProNewTech got ESCEM certificate. Congratulations and we wish you further successes!